The business of life is to live and to live well. But in this day and age we know almost everything about life except how to live it. We can dissect life and explain its parts and then fail to put it together again in such a way that it becomes a coordinated, harmonious whole. Through the vibrant writings of E. Stanley Jones, discover not only how God desires more for us than we could ever think or imagine, but freely gives us that abundant life of body, mind, and spirit. 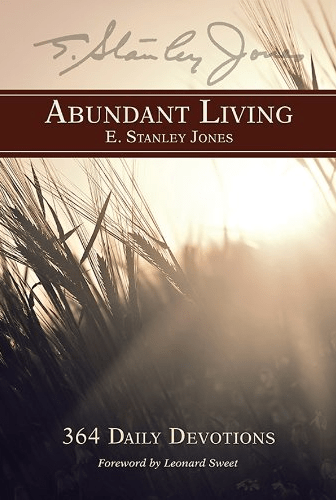 Abundant Living, the sequel to Victorious Living, continues the journey toward extraordinary life through trusting God and self-surrender. Written in 1942 by one of the greatest Christian leaders of the day, experience this classic devotional with a new foreword by Leonard Sweet.